Samsung's Galaxy S10 series is codenamed "Beyond"
The internal codename is used in reference to the whole lineup, which likely consists of both regular and plus-sized variants, and it’s reported that Samsung has big plans for the smartphones. For one, the company is said to have informed suppliers of its plans to include in-display fingerprint sensors. In order to avoid any production issues, however, Samsung is expected to utilize a number of different suppliers, with each one possibly covering orders for different regions. On another security note, the number one smartphone manufacturer is also said to be debating the inclusion of a 3D-depth sensor, akin to the one seen in Apple’s iPhone X. If it chooses to do so, this will also allow for significantly better AR Emojis, aside from the obvious security improvements. Nevertheless, Samsung is said to be reluctant due to the high cost of the sensors which could force it to raise the cost of its devices by up to $50. 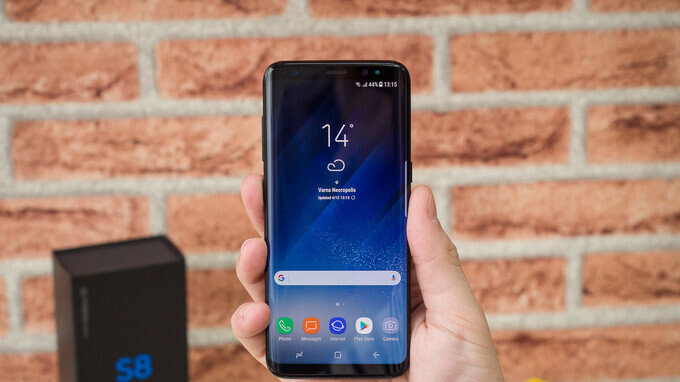 Moving away from security, the Galaxy S10 is reportedly set to be visually similar to both this year’s Galaxy S9 lineup and last year’s Galaxy S8 models. This would mean a refined glass and aluminum build should be present for a fifth consecutive year alongside the company’s popular Infinity Display that will be complete with curved edges. But, if Samsung’s recent patent filings are anything to go by, this could potentially feature a notch up top. With Samsung’s anniversary lineup not set to debut until February or March at the earliest, Samsung still has a lot of time to perfect its hotly anticipated Galaxy S10 devices. With consumers across the globe expecting a significant upgrade, however, the company could potentially launch the devices at a slightly later date in order to guarantee the best possible products. Damn that's the most important news why ain't this s**t featured on PhoneArena? Coz everybody doesn't share your opinion. don't know why code names should even become news worthy in the first place..
You can call him the beyonder. I'll hold onto my S8 for this. I think this is going to be quite a brilliant phone, as it's Samsung's anniversary phone. The name also seems to illustrate that this is going to be "beyond" anything before it, as Samsung typically doesn't give their smartphones as extreme nicknames as this, they called the Galaxy S9 "Star". It is actually. The S9 is kinda perfect in the current gen of phones. Whats not? I own and use multiple devices. S9 plus , iPhone X ,Pixel 2 Xl and XZP. In my view after using all these phones and having the S9 Plus and the iPhone X as my daily drivers . I would leave all the other phones for the S9 plus. It has everything going for it. Amazing Display Superb Speakers Super smooth and fast performance. Great not good. GREAT battery life with dual sim on always. Amazing and in my view the best camera. I like Samsung UX . Its my favourite version of android. The earpiece quality is the best among what i have. Signal strength is top notch and beats the others in that dept. Samsung pay is fantastic and works everywhere . S9 plus covers all bases close to perfection. I personally find it the best . You said it yourself, "close to perfection". Not perfect still. will it have exploding feature? Unfortunately, this feature has been removed from Galaxy phones ever since the Note7. Seriously though, I don't think I've read of a single "Exploding Galaxy phone" report since that whole episode. Props to them for actually (evidently) fixing the problem. You're 2000 and late. Next! Bring me fps and all camera/iris sensors under the screen. I will update from Note 9 for that. Can we have a Buzz Lightyear edition and on the start up it says "To infinity and beyond"
I hope it will look like Vivo from Captain America Civil War. That was an awesome phone. If there is an embedded fingerprint scanner in the screen then how will it work when u use tempered glass? Is it possible? If it works like the Synaptics sensor in the Vivo Apex, then maybe yes.